A. Since I was a child I always wanted to be a film director. My life has always been revolved around movies. All my friends encouraged me to dare to record some film short. It was not until three years ago when I made the decision to shoot a short film and it was called: Breaking Rules, my first fashion film. A. A fashion film is a film where you start to create the characters through their outfit. Not the other way. Clothing is the character and the actress or model is the one who helps to express itself, to have an acting. A. For me, making fashion film has been the best way of artistic expression I could do. A fashion film allows you to be creative, free in a certain way, where different artistic sources mix: acting, dancing, narrative, cinematography and music. My dream has always been to make a feature film. A fashion film allows me to experiment, try new things. In addition, I have always shot as if it were a feature movie, with a film crew. Q. What makes fashion film different from other short film genres? A.. I don’t see a fashion film being all that different from other genres. For example, some of my films have been selected in many film festivals without being seen as a typical fashion film. Perhaps one of the main differences is the concern for outfits. The aesthetics are very careful in the short films, but the outfits are not spoiled too much. Q. What were you looking for in your characters in City Blossom? A. In City Blossom I tried to talk about the world of friends, this term humours me. The girls interact and compete in a fine line. It is not very clear where the line beings or ends. Within my stories, I like to take humour in certain concepts. I like to think friendship is something that gives a lot of play. City Blossom talks about three different personalities whilst having an appreciation for all three girls together, each individually in their own element forms a unity. Within every one of my fashion films lies magical realism, the surreal and the real combine with a natural form. In other words, "almost" normal things occur in a special way. This allows my characters to be different; to do fun, risky or just crazy things. Q. What about your character in “The Perfect Parisienne”? A. 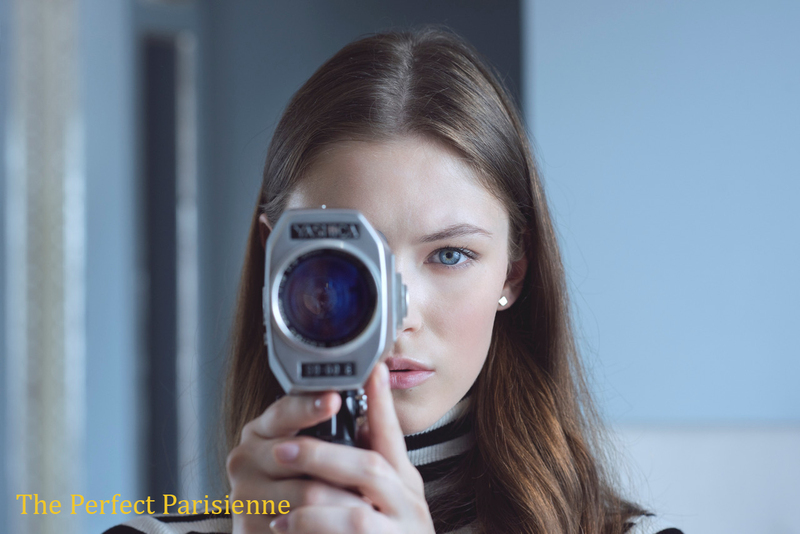 In The Perfect Parisienne it was clear that what we were looking for was a girl protagonist who could fall bine while doing things that might not be well seen. Anastasia was always the first choice. She has beautiful eyes, and although she looks sweet, her character can be seen as having a naughty side that strikes. With this in mind, she manages to stay chic. As for the male character, he has no sense of ridicule and is very powerful. Q. Do you have friends making movies as well and do you sense competition amongst you? What do you think of their movies? A. I have many friends who are a director, many who are virtual and dedicated to the same. Everyone has their own voice and I personally have a very distinct style. Most fashion films directors make different types of films and I appreciate them all. I watch fashion films now and again, but not too often. Rather, I love watching a variety of movies and in my spare time enjoy photography. This where my inspiration comes from. Q. What was your original concept for making “The Perfect Parisienne”? A.The original concept for The Perfect Parisienne came to be practically the film. In the beginning, we had to make some rules to be Parisian, the film can be seen as a distance-learning course. During the course, they would explain what to do to be safe, but our protagonist reinterprets them in their own way. I like to include multiple layers in my films and sometimes, in order to gain a deeper understanding a film needs to be seen more than once. Q. What about “City Blossom”? A.The original concept of City Blossom comes from it’s first part "Urban Nature". In this first film, there was talk about how the girls become friends in the eyes of the newcomer to the group. City Blossom continues this story but in a more spiritual way. The friends are now going to hold an unusual spring welcome party and each of the girls has their own idea of what it should be like. You will find that intentionally don’t show the final party, as I like to think we are only witnessing the ideas of each individual as well as the reactions of their partners. In this way, I was hoping to create a more interactive feeling where viewers feel as though they are at the party. Q. What was the biggest challenge for you in the process of making City Blossom? A.I think the biggest challenge in the process of making this film was to make girls dance in record time. We had the choreography a week before the filming, but the girls did not arrive until the fitting, the day before the shooting. During the filming, during the breaks, we did rehearsals with the girls who did not come on stage. It's very fun to think about it now but it was a little manic, to say the least. The house where we shot is real, so we had to move many elements to shoot all the shots. Another thing that happened in this film is between sad and fun at the same time. The second scene that we shot was that three balloons that hold LONGCHAMP bags floating in the air. In principle, there were 5 bags floating in the scene but unfortunately, someone left a door open and 3 balloons with her bag flew out. We tried everything: call the police to shoot in the air, throw a knife, follow from a car in parallel to the 3 balloons flying over 50 km. It is probably somewhere in the Mediterranean since the balloons had hellion for 7 days, that speaks for itself. In hindsight, we laugh about it, but at the moment whilst filming it was tough, and now, well there are only four bags in the film. Q. Did you had any challenges making The Perfect Parisienne? A.The biggest problem we found in The Perfect Parisienne was to get it to look like a hotel. We were clear that we would use two different sets, the rooms and the reception hall. The rooms would be rolled in a private palace but the reception of the hotel was more complicated. 1 day before shooting we were told that we could not shoot in a location that was our reception and as a given the whole team was disappointed. 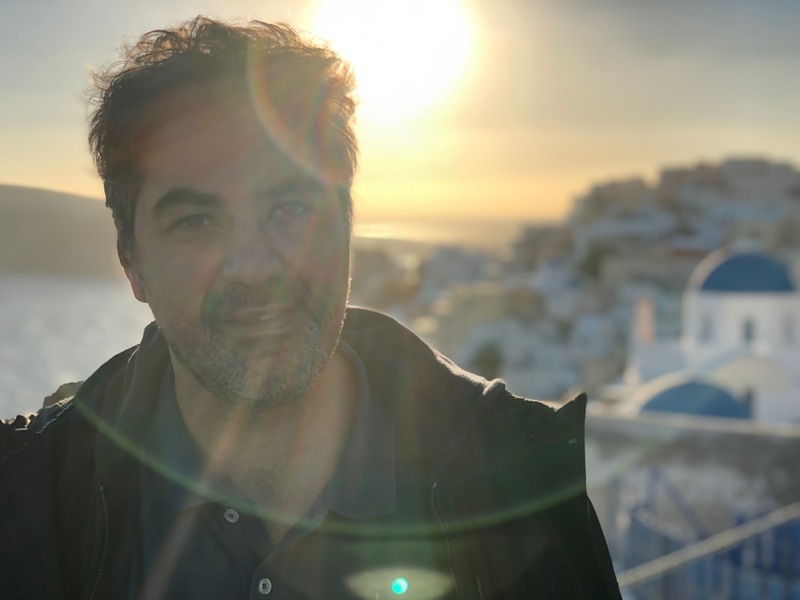 But my producer, Jose Trullenque, made me cross the street and showed me a theatre that could be let in the hallways, these corridors was the reception of my imaginary hotel. Another complex scene was to capture rain inside the room, igniting the fire alarm. It cost a lot for Roger Vivier to approve the idea, but it was even harder to shoot as the walls of the blue room were doubled, and we shot on a terrace with a hydraulic system. It went well to the first but Anastasia, the main female character ended up soaked with water. Q. How did you decide about clothing, jewellery and makeup in both films? A.When I write the piece, the first thing I do is study the outfits, then I write the scenes and finally I add the complements. In this film, I worked with Barbara Baumel as a stylist. She is very special and has an extraordinary taste. Between the two of us, we define each action as each girl should be dressed in City Blossom. But for The Perfect Parisienne”, we had more than 100 different outfits. It was the longest fitting I've ever made. With the makeup it was easier, Kuki Gimenez is the make-up artist that I have known for 20 years, back when I was an art director in an advertising agency. I tell her that I want to express as a storyteller, and she proposes how to tell it with makeup. Longchamp had some rules regarding hairs, but the rest was very permissive. A. The most important thing for a fashion film is that it should transmit something. You have to be clear about what you want to tell. The set is a wonderful place to improvise and for me, telling something, having a meaning or being purposeful is vital. Also, the narrative is just as important in aiding this. I usually use a voice-over because it complements what you see over as another element that brings humour or another vision. A.The differences between a fashion film and an advertisement I think is in the way of approaching the audience. The announcement "forces" you to want something from the film. The fashion film gives you a mood with different ideas of which you are free to reinvent yourself or not for them. I think that a fashion film, being much more inspirational, leaves the viewer's taste what they want them to. I have made several ads for TV and in them, I play with that idea: El Corte Inglés, Peter Hahn, Evax or Nespresso. They are closer to a fashion film than to an advertisement and all have had a great reception. A. The only way to get money to shoot films is to fight for it and this happens a lot. We have to show that we are not a group of people playing or just coming up with ideas, but that we are all a team that is willing to put the time and effort to help tell stories, to help brands be recognized. People don’t always see just how laborious it is to make a fashion film. From the idea, casting, outfit, production, shooting, editing, colour grading- it can take a month from start to finish to be able to have a piece like the ones I make. Plus it costs to have people who get involved in the project, time is money. A. If you are like me, then simply do what the heart dictates. I have my preconceptions and my fears as do we all but three years ago, I decided to do what I love, telling stories. I was very lucky because my first film was liked a lot and that made it easier to take the step to dedicate myself only to making movies. But I must say it took time, it didn’t happen straight away. My advice is to continue doing what you enjoy the most and if that is making movies, go for it!